DeSmogBlog is a highly politicized climate alarmist website that attacks skeptics of catastrophic man-caused climate change and the organizations that support them. Co-founded by a convicted money launderer, the site is controlled by the controversial James Hoggan, owner of Hoggan & Associates, a for-profit public relations firm based in Canada. The site’s mission is to shame, silence, and criminally penalize climate realists. DeSmogBlog was instrumental in the 2012 “Fakegate” scandal, the theft and publication of internal documents of The Heartland Institute, which The Economist magazine has called “the world’s most prominent think-tank promoting skepticism about man-made climate change.” Peter Gleick, climate activist and former president of the left-wing Pacific Institute, admitted to digitally impersonating a board member and stealing the budget and planning documents, but has yet to admit his forgery of a fake “Heartland Climate Strategy” memo that DeSmogBlog stores on its website. Hoggan was a key participant in the Climate Accountability Institute’s June, 2012 “Workshop on Climate Accountability, Public Opinion, and Legal Strategies, subtitled “Lessons from Tobacco Control.” The private event in La Jolla, California was exposed in the 2015 Shub Niggurath Climate article, RICO-teering: How climate activists ‘knew’ they were going to pin the blame on Exxon. The Workshop precipitated by a few months the legal attack by several Democratic state attorneys general against Exxon and a long list of climate realists for allegedly “fraudulent” challenges to the claims and policies of climate alarmists. This Workshop was conceived by history professor Naomi Oreskes, who was obsessed with prosecuting fossil fuel producers with the same legal tools successfully used to win billions of dollars in penalties against the tobacco industry. The key law was known as RICO (the “Racketeer Influenced and Corrupt Organizations” law), enacted by Congress to cope with organized crime, but subsequently used in civil cases such as the tobacco prosecutions. Oreskes’ Workshop, co-sponsored by the Union of Concerned Scientists, attracted 22 colleagues with legal, scientific and public relations expertise. Oreskes’ vital Workshop invitee was the expert who gave her the tobacco-climate link: Stanton Glantz, powerful and bombastic cardiology professor at the University of California at San Francisco and director of the Legacy Tobacco Document Library with its 80 million-plus pages. Glantz’s rise to power was a result of the RICO tobacco settlements, and he was convinced RICO could also shatter the fossil fuel industry. However, some of the Workshop’s more experienced legal experts seriously doubted that RICO, which won the tobacco case because it turned upon fraud, could be applied successfully to fossil fuel producers. In 2015, Maibach emerged as one of the ringleaders of the RICO20, prominent activist professors who signed a letter to President Obama calling for RICO investigations of Exxon and all climate skeptics. The RICO20, and the attorneys general they spurred into action, are now subject to subpoenas from the House Science, Space, and Technology Committee, which seeks to uncover the coordination among the Workshop, government officials, and publicly funded RICO20 professors. Hoggan remains close to Oreskes. His DeSmogCanada site gave her a glowing report for an April, 2016 speech in Vancouver, where Hoggan’s operations are based. His PR Company has major alternate energy companies as clients. Hoggan is the proud creator of DeSmogBlog a web site that claims it is “Clearing the PR Pollution that clouds climate science” but mostly involves personal attacks on people asking questions. The objective was to denigrate people by creating “favorable interpretations” to the following questions. “Were these climate skeptics qualified? Were they doing any research in the climate change field? Were they accepting money, directly or indirectly, from the fossil fuel industry?” This doesn’t answer skeptics questions about the science. Their real agenda was disclosed in a Climatic Research Unit (CRU) leaked email dated December 2007 from senior DeSmogBlog writer Richard Littlemore to Michael Mann. I’m a DeSmogBlog writer (I got your email from Kevin Grandia) and I am trying to fend off the latest announcement that global warming has not actually occurred in the 20th century. It looks to me like Gerd Burger is trying to deny climate change by “smoothing,” “correcting” or otherwise rounding off the temperatures that we know for a flat fact have been recorded since the 1970s, but I am out of my depth (as I am sure you have noticed: we’re all about PR here, not much about science) so I wonder if you guys have done anything or are going to do anything with Burger’s intervention in Science. I’d be delighted for any response, no matter how brief, or for directions to any existing critique. DeSmogBlog refused the request, and the Fakegate Scandal began. Respected journalists, including those on the political left, immediately began to question the authenticity of the so-called “Heartland Climate Strategy Memo.” The left-leaning Atlantic published a story by Megan McArdle headlined, Leaked Docs From Heartland Institute Cause a Stir -but Is One a Fake? McArdle, after noting that she “disagree(s) pretty strenuously with Heartland’s position on global warming,” concluded that the memo was obviously a forgery by Gleick. The memo … is like the opposition political manifestos found in novels written by stolid ideologues; they can never quite bear (or lack the imagination) to let the villains have a good argument. Switch the names, and the memo could have been a page ripped out of State of Fear or Atlas Shrugged. Basically, it reads like it was written from the secret villain lair in a Batman comic. By an intern. The fact that the document was created at a different time, place and manner, from the others, that it makes errors about things like the purpose of Koch funds, and that Heartland has unequivocally denied authorship while seeming to concede the authenticity of the other documents, should lead any honest observer to at least reasonable doubt. Mr. Littlemore contends that this is a distraction from larger issues, but I cannot agree. The foundation of journalism is accurate sources. Anyone who considers themselves to be in the business of informing the public about the truth should care very deeply when faked documents make it into the public record. They should especially care if their own work has been the vehicle. On February 20, 2012, Peter Gleick issued a statement in the Huffington Post admitted to soliciting and receiving Heartland’s budget and planning documents “under someone else’s name,” and called his actions “a serious lapse of my own and professional judgment and ethics.” He subsequently resigned as chairman of the scientific ethics task force for the American Geophysical Union and was suspended from his Pacific Institute post for five months. Gleick has never admitted to being the author of the “Heartland Climate Strategy Memo,” despite the work of McArdle and others that show no one else could have written it. Two other independent reports pointed to Gleick as the author. In August 2008, DeSmogBlog writer Richard Littlemore debated noted skeptic Christopher Monckton on Canada’s Corus radio network. In his opening remarks, Littlemore admitted that the work of his site, and the expertise of its writers, is in public relations, not climate science. On DeSmogBlog, even his most ardent supporters conceded that Littlemore was taking it on the chin throughout the debate. “Richard, you’ve got to show them you’ve got more than insults,” wrote one sympathetic DeSmog Blog reader. “I’d have to say that Monckton ‘won’ the debate. He came across as more prepared and had answers at his fingertips, whereas Richard appeared to verbally stumble on occasion,” wrote another. After the debate ended, Littlemore himself admitted defeat on DeSmogBlog. Clearly outraged by EID’s Debunking Gasland report and how it has been widely picked up, DeSmog’s executive director, Brendan DeMelle penned Gasland Attack Group ‘Energy In Depth’ Funded by Major Oil and Gas Interests published mid-February at Huffington Post. Far from focusing on the issues EID raised about the movie, DeMelle chose the path of all anti-intellectual debaters: attempting to undermine the credibility of those with whom they disagree. And it’s not the first time either that DeMelle, DeSmog and the de-Huffington Post have been caught in smear tactic cahoots, as Andrew Breitbart’s excellent Big Journalism site has reported. Let me be clear. I have no problem with either industry PR teams or self-proclaimed public watchdogs, Left or Right, tangling in the public square. Bring it on. But engaging with evidence and facts is not what DeSmogladites are about, as we shall see. DeSmogBlog, which is dedicated to claiming that climate skeptics are paid shills, happens to be run by James Hoggan and Associates, a PR agency that actually received the $300-large from the NETeller executive. His PR firm represents “alternative energy” companies, as well. Adding to the conflicts, Hoggan is also chair of the board of directors for the David Suzuki Foundation, a radical environmental activist group run by a man who — ironically — calls for climate skeptics to join Lefebvre in jail. This spin machine is aimed at discrediting skeptics. So, one’s supporters dictate one’s opinions. Funny, I was thinking the same thing. The for-profit origin of the blog raised questions about the legitimacy of the blog’s content. In a November 2009 Financial Post column, Canadian environmentalist Lawrence Solomon stated that DeSmogBlog was “specifically created for the purpose of discrediting skeptics.” Also, the blog is seen by Financial Post editor and columnist Terence Corcoran “as serving the interests of large corporations hoping to make money on emissions trading.” Corcoran and the Financial Post were threatened with legal action by Hoggan for an unflattering column, which spurred an apology. 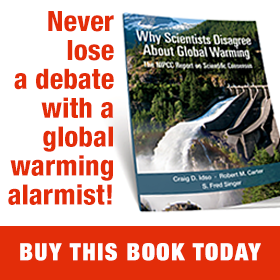 On June 4, 2010, The Washington Times published a gentle critique of the DeSmog-produced book Climate Cover-up: The Crusade to Deny Global Warming. At a September 27, 2014 panel discussion at Queens Museum titled “Climate Wars: Propaganda, Debate, and the Propaganda of Debate,” Hoggan revealed that he was inspired to start DeSmogBlog by the work of Ross Gelbspan, a retired journalist who helped launch the modern environmental movement and spread the slanderous narrative of Al Gore’s Earth in the Balance (page 160) that skeptical scientists are paid shills of fossil fuel companies hired to neutralize public support for government climate programs. Krasnauskas: “Yeah, what do you do for DeSmogBlog by the way? James Hoggan, who co-founded DeSmogBlog in 2006, is the owner of Hoggan and Associates, a public relations firm in Vancouver, British Columbia, housed in an unimposing suite adjoining Rodney’s Oyster House in the Yaletown district near the city’s downtown. His firm has represented renewable energy companies as well as the Shell Oil, which contradicts his advocacy work. Hoggan enjoys the support of a substantial leftist network in North America and the British Commonwealth. He is well-connected with Canadian public relations associations, has won honors from international left-wing organizations, and has a number of big corporate clients seeking him to promote their renewable energy businesses or green credentials. He’s chairman of the board of the radical-left David Suzuki Foundation. Hoggan is also the former chairman of Climate Project Canada – the Canadian chapter of Al Gore’s global warming enterprise (legal name Alliance for Climate Protection; 2013 revenue: $6,086,109). Hoggan’s self-described “non-profit” DeSmogBlog project – which operates out of his for-profit PR company with a U.S.-based executive director – does not appear on the register of charities of the Canada Revenue Agency. His companion operation, DeSmog Canada, is another left-wing web-based venture under the motto, “Clearing the PR pollution that clouds the public square.” Based in the lavish Bentall Centre in Downtown Vancouver, it is a registered non-profit organization under British Columbia law, but does not appear as a charity in the registry of the Canada Revenue Agency. Early contributors to the blog have also included Richard Littlemore, a science writer who formerly worked for the Vancouver Sun and helped Hoggan write his book, Climate Cover-Up. According to his DeSmogBlog profile, “DeMelle has served as research associate for Robert F. Kennedy, Jr., researcher for Ring of Fire Radio, researcher for Laurie David and StopGlobalWarming.org, law and policy analyst for the Environmental Working Group, campus organizer for Connecticut Public Interest Research Group, environmental justice associate for EPA Region 10, among other positions in his career. His work has appeared in left-leaning publications, such as Vanity Fair, The Huffington Post, Grist, and other outlets, including a peer-reviewed article in the Journal of Rural History about the social and ecological impacts of the St. Lawrence Seaway and Power Project. He graduated from St. Lawrence University with a BA in Sociology and Environmental Studies in 1998.